Welcome to Hanoi, our guide will pick you up at Noi Bai International Airport (HAN). Transfer to Hanoi city center. Free at leisure until time for dinner. Overnight at hotel in Hanoi. Breakfast at your hotel, morning transfer to Ninh Binh. Lunch with tasting of goat kebabs, local specialty. Road to the magnificent site of Hoa Lu, also called the "Ha Long on the land". Embark on small traditional sampans for a leisurely stroll in Thung Nham, with its still wild and deserted landscapes, surrounded by rice fields, natural caves and limestone peaks. Dinner and overnight at the hotel in Hoa Lu. Breakfast. Early departure by road to Halong. Arrival around noon then embark on a cruise in Ha Long bay. This site has been a UNESCO World Heritage Site since 1994. Embark on a traditional boat to admire the spectacle of one of the most beautiful bays in the world, Ha Long Bay. Discover the 2 days 1 nights itinerary cruising in Ha Long Bay. Lunch and dinner on board. Overnight on board in Ha Long Bay. Breakfast. Free morning to stroll in the village of Halong. After lunch, drive to Hanoi, with a stop at Dong Trieu, known for its workshops as ceramic craftsmen. Transfer to the hotel. Dinner at the local restaurant. Night at the hotel. Breakfast. Hanoi, a real museum of colonial architecture on the edge of the Red River. Capital of Vietnam, Hanoi has retained the old-fashioned charm of the French colonial era. 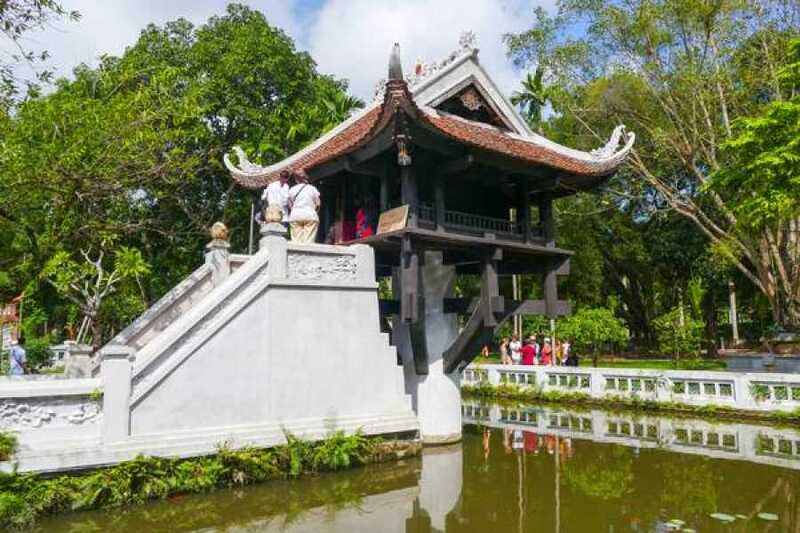 Visit outside the Ho Chi Minh Mausoleum, its former residence, the One Pillar Pagoda, the Temple of Literature, 1st University of Vietnam. Lunch. Then enjoy the cyclo tour in Hanoi, an original and relaxing way to apprehend Hanoi. Discover Hoan Kiem Lake located in the heart of the old city and walk through the busy shopping streets of Hanoi. Visit the Jade Temple, located on Hoan Kiem Lake. Free time for a personal discovery of the shopping district of 36 Old Streets. Overnight at hotel in Hanoi. Breakfast at your hotel. Enjoy your free tour with your own itinerary with Lunch and Dinner by your arrangement. Transfer to the airport for the departure flight. End of service.